At Melexis, we are all about inspired engineering. Our passion for technology has propelled us to the top of our industry. Today, we are one of five world leaders in semiconductor sensors for the automotive sector. We are also trailblazers in the development, design, and application of integrated semiconductors for motors, car networking, and wired and wireless communication. AnSem is Europe’s leading fabless analog ASIC design service company, designing and delivering state-of-the-art analog, RF and mixed-signal integrated circuits to customers worldwide. AnSem specializes in the development of advanced integrated circuits for wired and wireless data transmission, sensor data acquisition, ultra low-power and high voltage applications. Easics is a System-on-Chip design company, targeting designs in both FPGA and digital & mixed-signal ASIC technology. Easics designs reliable and scalable high-performance and low-power embedded systems for leading product companies, active in vision & imaging, industrial systems, healthcare & medical devices, multimedia, wireless & wired connectivity, aerospace and measurement equipment. 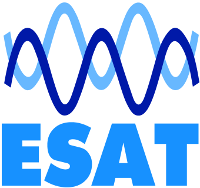 Easics is based in Leuven and was founded in 1991 as a spin-off company from KU Leuven/ESAT and imec. FITCE.be is the Belgian forum for the ICT & Media professionals' community to exchange views and acquire insight in new developments and challenges related to technical, regulatory, societal and economical aspects of ICT & Media technologies and services.